Brayden Point's power-play goal with 3:15 remaining led the Tampa Bay Lightning to a 3-1 victory against the visiting Carolina Hurricanes on Thursday night in a matchup of teams that entered on hot streaks. The first two Lightning goals came on power plays in the final nine minutes, the first scored by Ondrej Palat. Point added an empty-net goal to cap a three-point night. Steven Stamkos had two assists for Tampa Bay, which has won nine of its past 10 games. 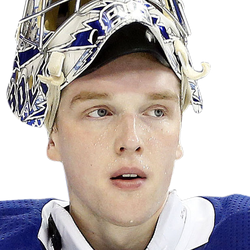 Lightning goalie Andrei Vasilevskiy made 26 saves, needing only seven stops in the third period to close out the win. The outcome snapped Carolina's season-best, five-game winning streak. Justin Williams scored for the Hurricanes, continuing his recent offensive surge. 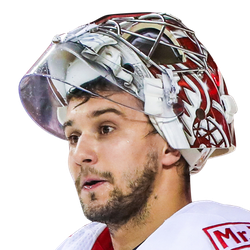 Carolina goalie Petr Mrazek stopped 27 shots. When Williams scored 4:34 into the second period, it marked his fourth goal in five games and his 300th career goal. Dougie Hamilton and Trevor van Riemsdyk assisted on Williams' goal. Point appeared to respond midway through the period. It was back-to-back attempts for Point, who was stopped by Mrazek on the breakaway but controlled the rebound and put the puck in the net. However, upon video review on a coach's challenge, an offside call negated the goal. Both teams were 0-for-4 on power plays through two periods. Palat tied the score with 8:04 remaining with his fifth goal of the season. It came on a power play for the team with the NHL's top power-play unit. Point also had an assist on that goal. Point finally converted for a goal that counted, this one with Carolina's Greg McKegg in the penalty box for slashing. He became the fifth Hurricanes player to visit the penalty box in the game. Then Point picked up his 28th goal of the season with an empty-net tally. The first period was scoreless, but Carolina held a 12-3 edge in shots.